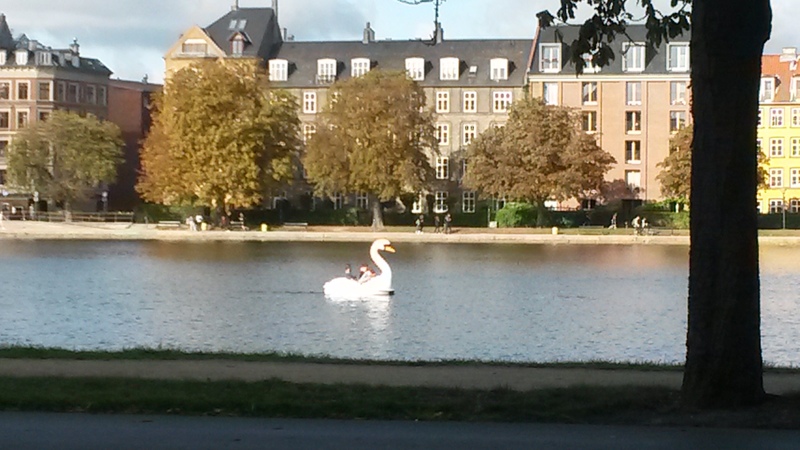 A few weekends ago, at the end of September, I found myself, quite unexpectedly, in the beautiful city of Copenhagen. My boyfriend likes to travel (a lot!) and so I asked if he’d take me with him because I’d always wanted to go to a Nordic country. He found a cheap ticket and voilà! there I was. We got really lucky and the weather was just pure bliss the entire time. We left on an early flight (6am!) 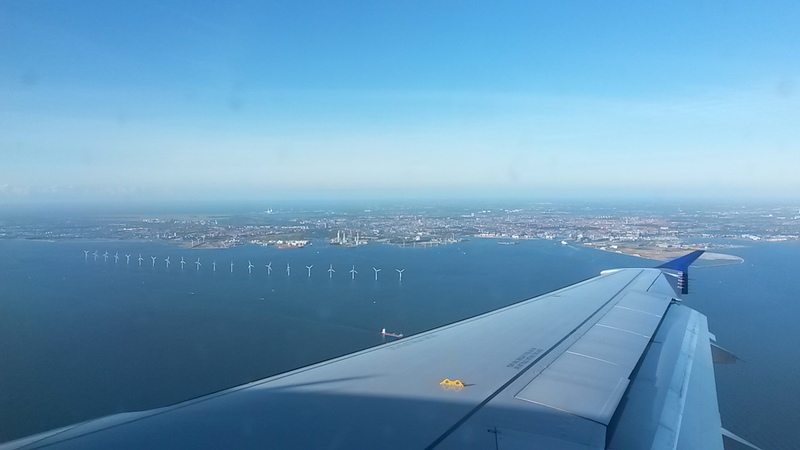 and so by the time we landed around 9, the sun was shining, and I got a superb view of Copenhagen as we came in from the sea and landed at the airport. It’s only 25/30min away from the city centre so that’s very practical, and it’s all shiny and new with cool shops and bakeries, so you can get that cinnamon roll as soon as you land. 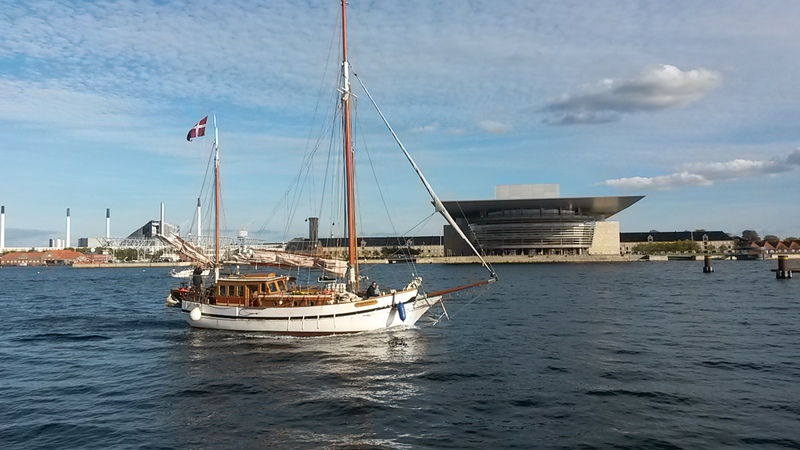 We stayed at the Kong Arthur Hotel, about 5 to 10min walk from Nørreport station, and very close to the river. The neighbourhood had a really great food market and lots of cafés, restaurants and bars. We left our bags (only a backpack each, we got the lowest fare on SAS) and decided to get lunch. 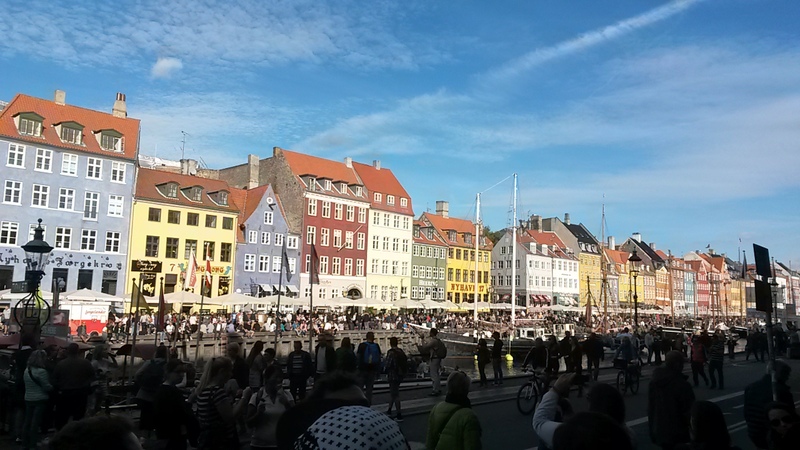 Knowing we’d end up there with the tour anyway, we nonetheless made our way to the most famous sight of the capital, Nyhavn. The gorgeous little colourful houses that once hosted taverns and brothels are now the home of upscale restaurants that sell everything from Pizza to a more local Smørrebrød, which is an open sandwich, most often with seafood. Dan had one of those with Plaice and shrimp, and I had another local speciality which is pork and beef meatballs with potato salad at Told & Snaps. After that, we visited the Little Mermaid. Bit anticlimactic, she’s very small actually and just kind of propped there by the river. By that time our feet already hurt, and that was before the walking tour even started! It was organised by Sandemans New Europe. The tours are free, and at the end, you tip the guide what you think it was worth. So between £5 and £15 usually. 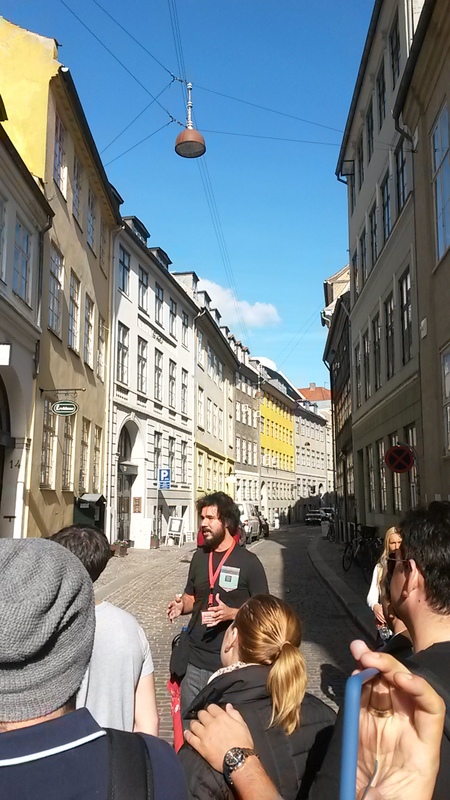 He took us from the town hall through the old town, past lovely buildings, museums and gorgeous streets. We pit-stopped at the Danish version of Starbucks, Expresso House. They do the most amazing cakes and chocolate Frappucinos. After the tour was over, we just went back to the hotel and collapsed for a nap. When we emerged a couple of hours later, we had the best burgers at Halifax, just a short walk from out hotel. They tasted great and the restaurant is quite cool, playing 80s rock ballads, their hamburgers themed after a country or region, everything delicious. After a good night’s sleep in a super comfy bed (Danish people know how to build good beds!) we had breakfast at the Next Door Café on Larsbjørnsstræde 23. They do great pastries, but we decided to prepare for our forthcoming trip to Florida (eeeeeeek!) 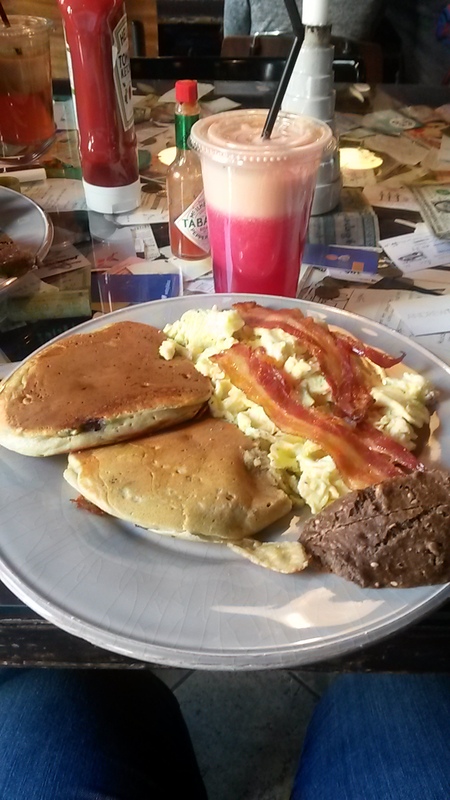 and order an American breakfast. Super fluffy blueberry pancakes, maple syrup, bacon, scrambled eggs and a slice of awesome Danish bread. 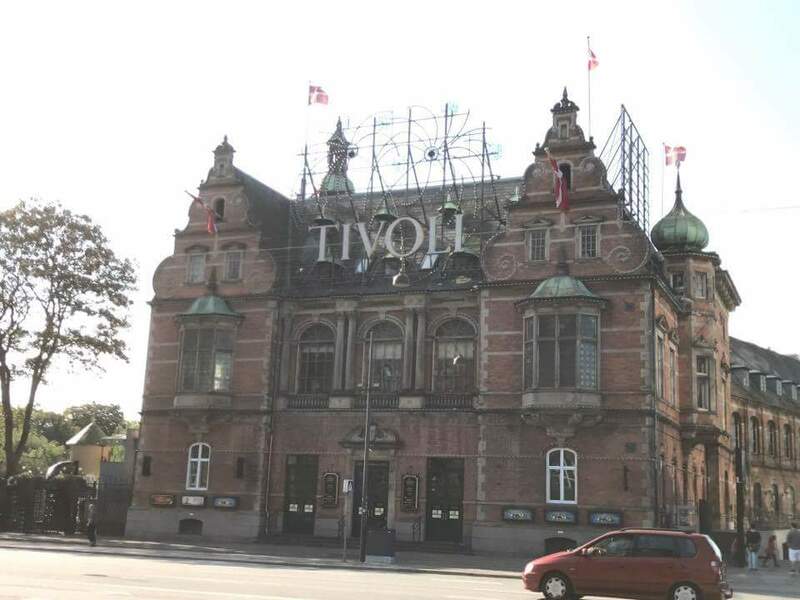 Satisfied, we went to Tivoli gardens, one of the oldest amusement parks in the world. 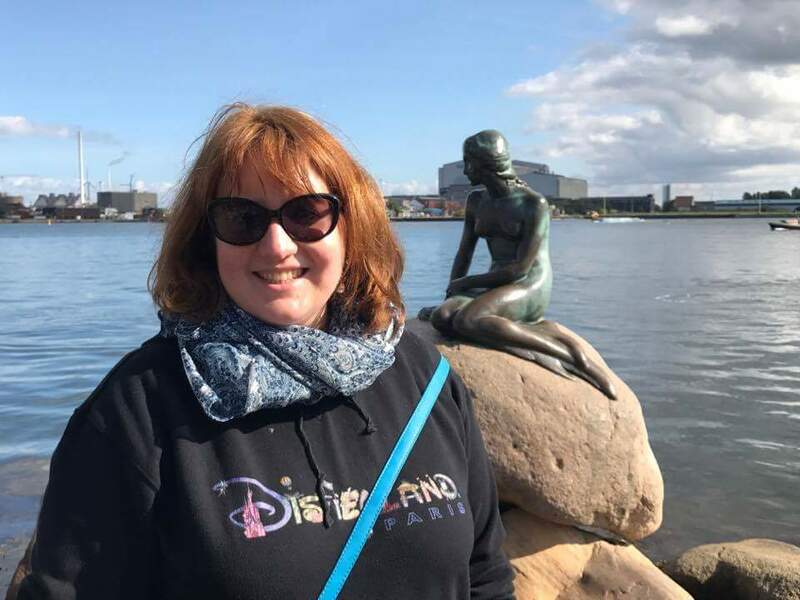 It apparently inspired Walt Disney for Disneyland (which you can see in the details of the green areas around rides) and it’s one of Copenhagen’s biggest attractions. I did two rides, Dan waiting on the side: one of the oldest wooden rollercoasters, Rutschebanen, and a little more modern ride, the Odin Express. 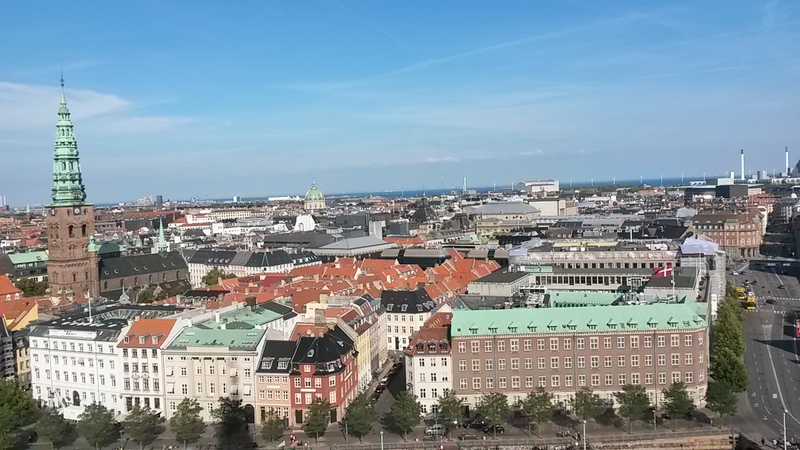 A friend of mine had recommended getting up one of Copenhagen’s many towers to enjoy the view, so we picked the free option and went up the City Hall Tower. They also have a restaurant if that’s your thing, but otherwise you just go up using lifts, take pictures and go back down. It’s really nice to see everything laid out in front of you, and you can even see as far away as Sweden! 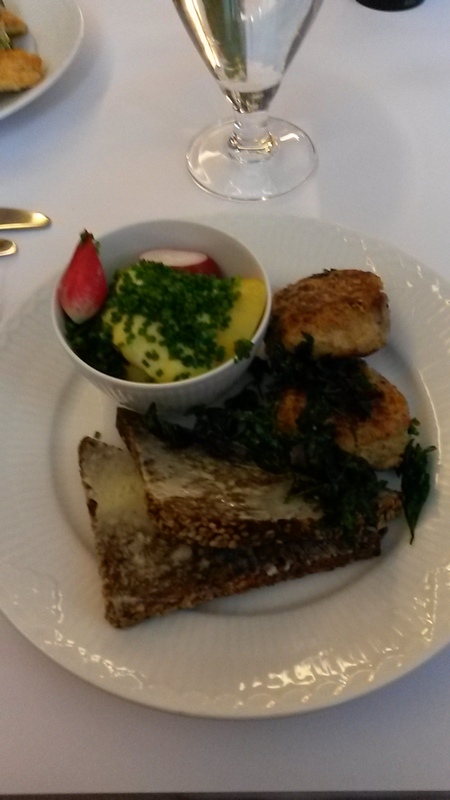 After that, we went back to Nørreport and bought some French food for me at the market. Dan had the local hot-dog a few hours before, but wasn’t too keen on the amount of Remoulade they put on it! 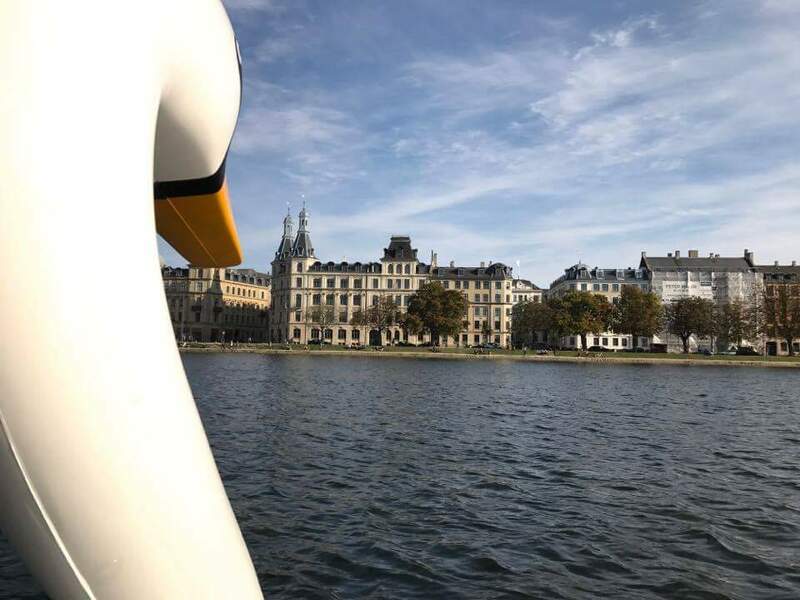 We finished the day with a pedalo ride in a Swan shaped boat! Our legs really hurt so we didn’t get very far, just going round in circles. But it was such a fun thing to do, on the river, in the sunshine, laughing as we shouted at each other because we couldn’t steer. 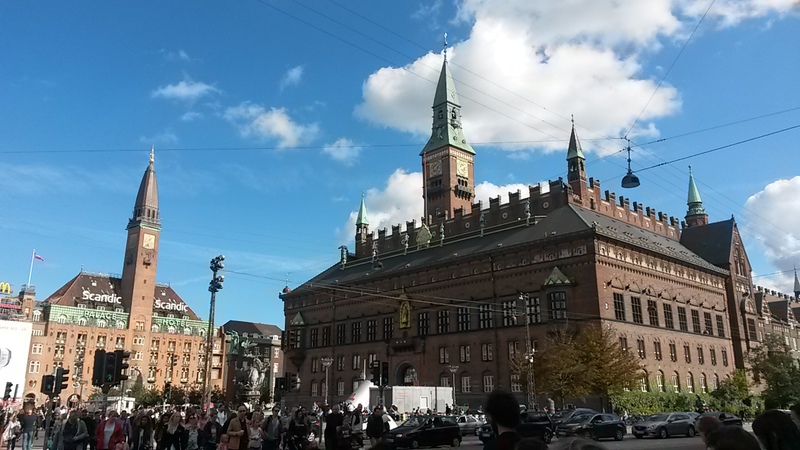 As a whole, I really loved Copenhagen. I found it beautiful, clean, friendy and interesting. “User-friendly” is a word that kept coming to mind. Because the streets are wide enough for cars and bicycles to cohabitate. Because even though everything is in Danish, they all speak English and try very hard to make you feel welcome. Because so many cultures seem to mix quite well in this city which is so very Nordic, yet also a mix of all its new inhabitants: I forget the amount of Spanish restaurants I counted, let alone the overwhelming presence of French, Spanish, and Italian food at every corner. I would definitely go back, even if it’s still a little expensive. The flights may be cheap if you don’t have luggage, and a daily tube ticket for all zones only cost around £8, but food and everything else is a bit outside of my wallet’s comfort zone. I mean, £5 for 2 stamps??? Nevertheless, if you have a chance to go, you definitely should. 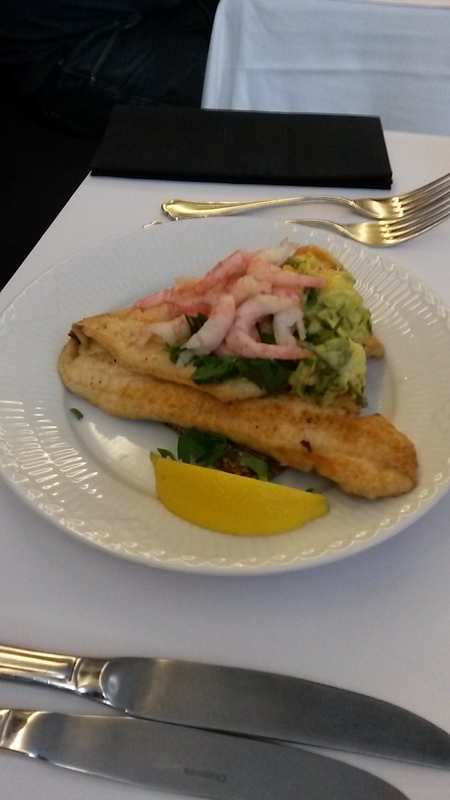 Tags: byhavn, copenhagen, danes, danish, nordic, sas, smorrebrod. Bookmark the permalink.